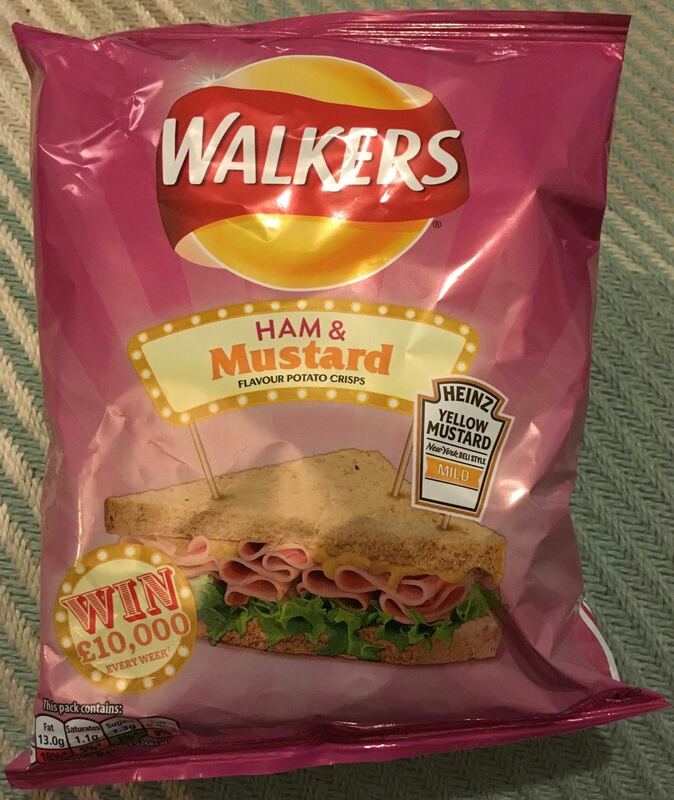 As part of the collaboration with Heinz, Walkers have produced these Ham & Mustard flavoured crisps. 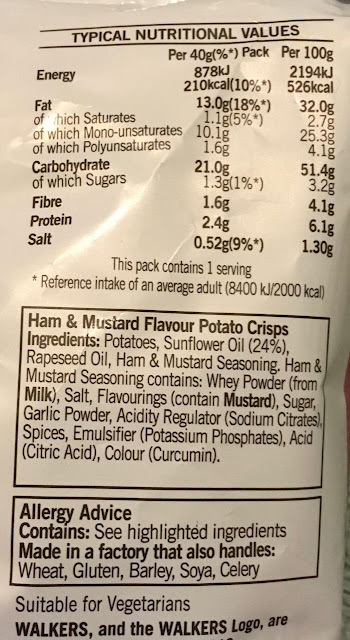 These crisps have been made with Heinz Mild New York Deli Style Mustard flavouring, which I have to admit that I’m sad to say I haven’t tried. I do like ham and mustard sandwiches, but generally go for the hotter English mustard. However, there is a place for milder mustard and I should remember that next time I’m in the local supermarket. There was a decent ham smell on opening the packet with a hint of mustard spice. 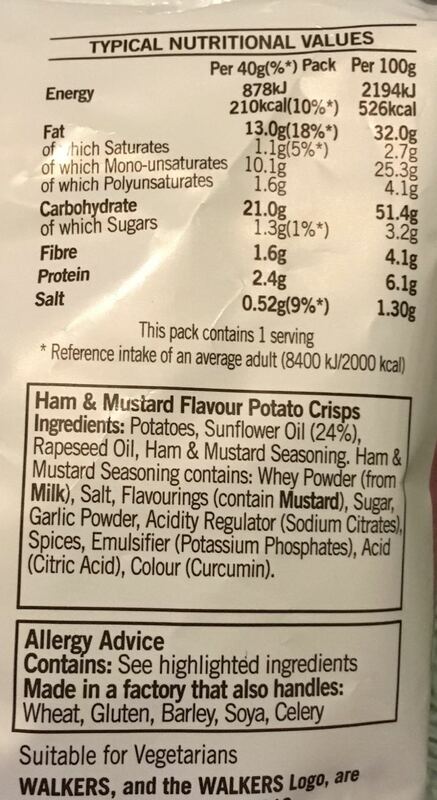 On taste these yellowish crisps had more of a zingy tasty mustard flavour to them to begin with followed by a ham flavour that merged together into the aftertaste. I found these crisps really tasty and felt doubly lucky because Cinabar could only find one packet in the shop. Get them whilst stocks last! 40g packet with 210 calories, 13g of fat, 1.3g of sugar and 0.52g of salt. These crisps are suitable for vegetarians. Please see photograph for ingredients.